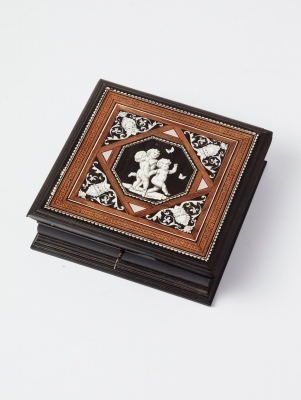 The square wooden box of dark ebonised wood, with contrasting cover of lighter brown exotic wood marquetry inlay, with centre ivory inlaid motifs. 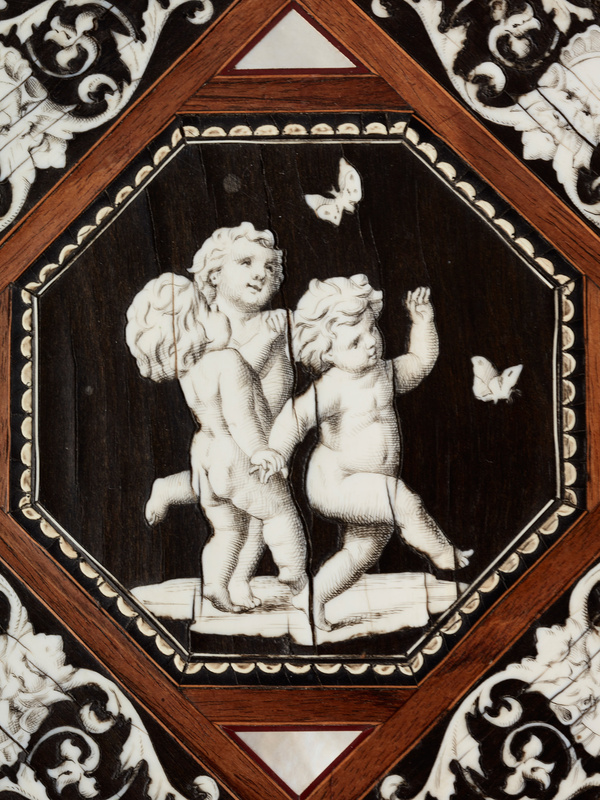 The centre octagonal medallion of three charming playful putti with butterflies, surrounded by four fantasy masks. 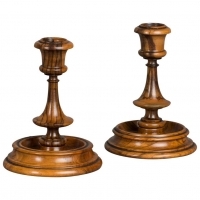 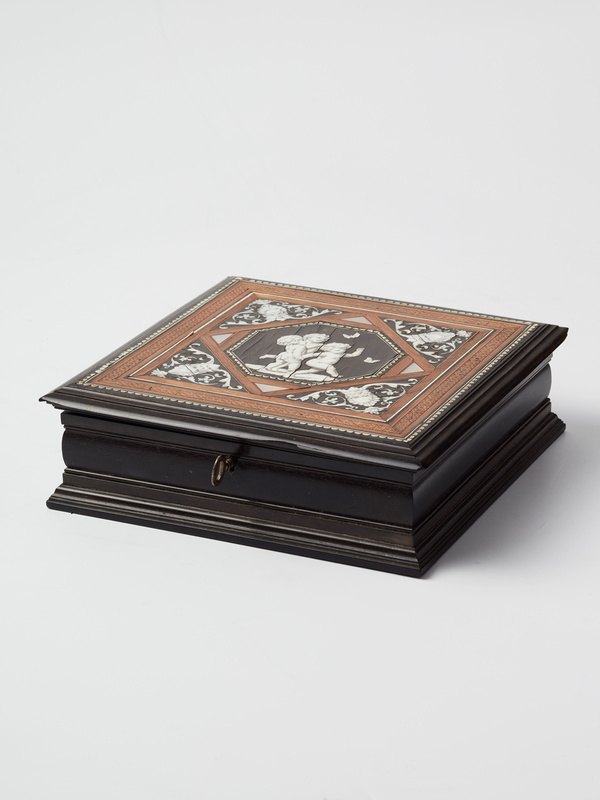 The contrast of the dark and light wood, together with the ivory motifs, make this box a stunning collectors piece.